Hard to believe the summer has ended, kids back in school and the leaves are starting to change on the trees...... fall is such a beautiful season with the colors and cooler weather and a great time to start all those Christmas and holiday gifts and decorations. Let us help you with those projects. We have some fun classes coming up with more to be added to the calendar. Lots of new samples are on display in the shop along with patterns and kits for many of them, just waiting for you to come and pick up and get started cutting and sewing. Now is also the time to place orders for glass items that you want made special - John needs time to create and make those gift items or ornaments..... stop in the shop and check out his current stock designs or chat about something special for a sports fan, mom, sister or anyone on your gift list. If you don't see a class for something you are wanting to learn don't hesitate to ask about our one-on-one session - time is limited for those types of sessions so don't wait to the last minute - we accommodate many different requests. Come learn different ways of using those great coordinated jelly roll strips in this fun and informative lecture/demo session. 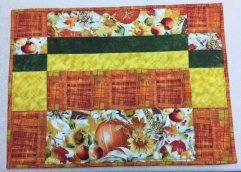 These placemats are so fast and fun to make and the pattern has five different layouts so no two sets will ever look the same, change up fabrics for all seasons and decor and compliment your table every single day! And these beauties only use four fat quarters to make four placemats - add 1 yard of backing and your binding fabric and your ready to go. 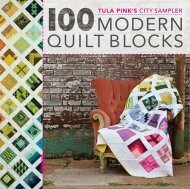 Join us for a full year of piecing modern quilt blocks from Tula Pinks' great book of 100 modern blocks - we have chosen three blocks for each month. 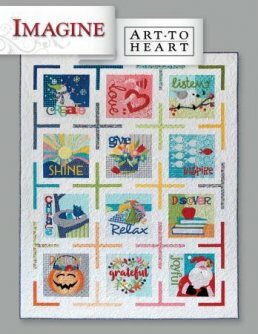 See how fun and easy these blocks can be and meet new quilters along the way. 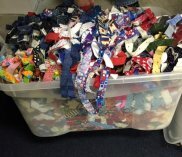 SUPPLIES: Fabrics for each months project, thread, sewing machine, scissors, rotary cutter, general sewing supplies. Hot pads, coasters, placemats, chair pads, runners, rugs, you name it, you can make it! It's A Wrap is a fun and fast way to create great projects and gifts - uses zig zag stitches to sew the items together - no previous experience needed, I will teach you all you need to know and you will go home with a completed 8" - 10" round hot pad and with the start of an oval one.... I just love making these! Once you have taken this beginner class you will be able to join us for our occasional "It's A Wrap Scrap Party" .... fun had by all! SUPPLIES: Fabrics (60 - 3/4" wide assorted colored strips OR purchase our coordinated pre-cut pack), Thread to match, Clothesline (cotton, no web or plastic coating and no core/wire in center) we carry the clothesline all the time, It's A Wrap Book, Aileen's Fabric Glue, sewing machine with zig zag stitch and walking foot, recommended, scissors, general sewing supplies. This is for all of you folks that have completed your required Beginner session for It's A Wrap - now you have graduated to join us for this fun time of making what ever your heart desires from MY scrap bucket!!!!! 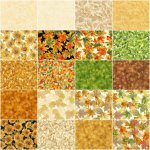 Dig into all these amazing 3/4" strips to create coasters, hot pads, runners, what ever you want to make..... use them in your home or give them as gifts! Great fun had by all and fun meeting others that enjoy "wrapping it up"
SUPPLIES: Sewing machine with zig zag and walking foot, recommended, assorted threads, Aileen's Fabric Glue, scissors, general sewing supplies. 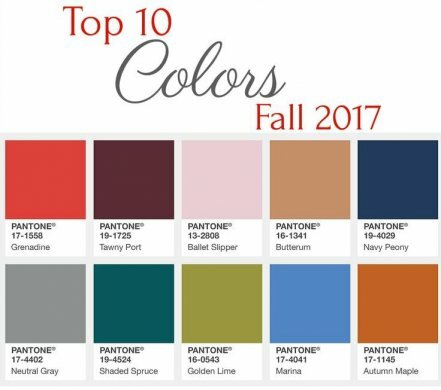 Try using some of the Pantone Fall 2017 colors in your upcoming projects...... stop in and let us help you coordinate a few colors for your fall projects. 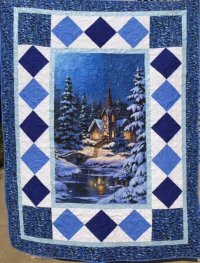 Beautiful panel with the feel of a Thomas Kinkade picture - panel and kit available, $62.00 includes binding - 54" X 70"